How about you? 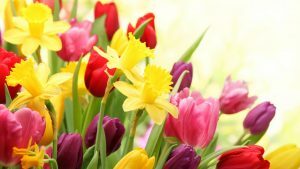 We’ve had a relatively mild winter here in the midwest but we’re still ready for warmer weather and spring flowers. We’ve updated our Appearances page so be sure to take a look at where we’re going to be. We’d love to see you in person at any of those events! 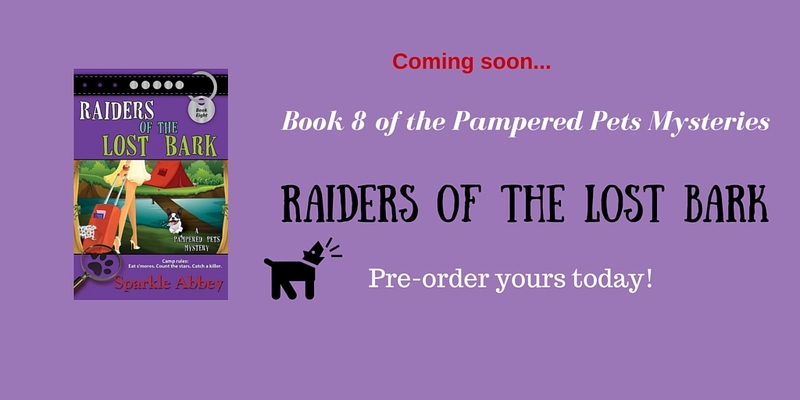 We’re currently at work on Books 9 and 10 in the Pampered Pets Mystery series so watch for news on those releases. We’ll let you know as soon as have release dates. And if you want to get notified of release dates or when there are specials on the books, just sign up for our mailing list – Get Updates – that way you won’t miss out! Just in time for the holiday season! 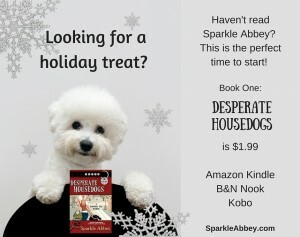 We’re excited to share Desperate Housedogs is on sale for $1.99 in all ebook formats until December 15th. If you haven’t read the book that starts the series or if you’d like to gift a friend with the ebook for Christmas, here’s your chance! We hope the joy and magic of this holiday season stays with you and your family! 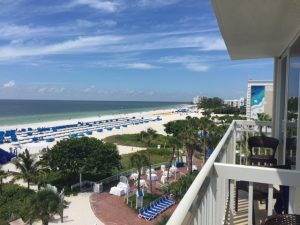 Fall 2016 – Where did summer go? We don’t know about you but we had a very busy summer. It seemed like it went by in a whoosh! We ended the summer with a wonderful writers’ conference in Florida and now we’re busy working on the next two Sparkle Abbey books. Books 9 & 10 (currently untitled) will be out in 2017. 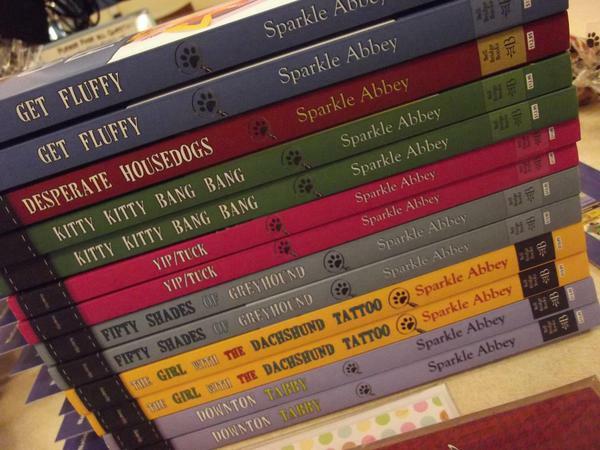 If you’d like to make sure you are always up-to-date on Sparkle Abbey releases, contests, and special offers, be sure to sign up for our mailing list in the Get Updates box here: Updates We promise to never share your email address and you can unsubscribe at any time. 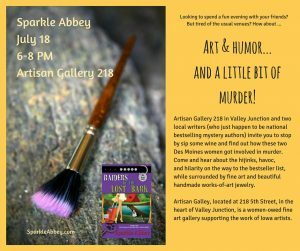 Sparkle Abbey has a busy spring and summer planned and would love to see you in person at one of these events! We’ve got news X 2! 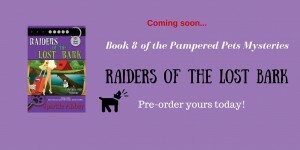 We’re excited to share that Book 8: Raiders of the Lost Bark will be out soon! The book will be out the end of March, but is currently available for pre-order on Amazon and Google sites and should soon be available on all the others. 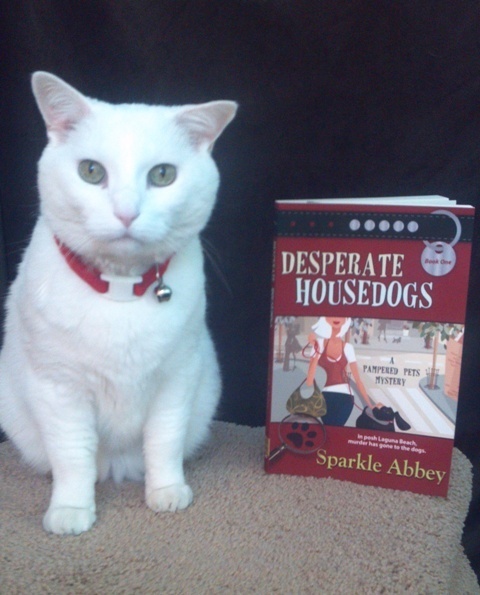 And to celebrate the launch of Book 8, our publisher is offering a special deal on Book 1: Desperate Housedogs. 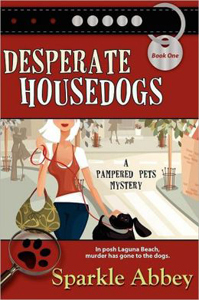 For a limited time, March 6-12, the book that started the Pampered Pet mystery series will be on sale at Amazon for only 99 cents! Looking for a holiday treat? Here’s one that’s calorie free! 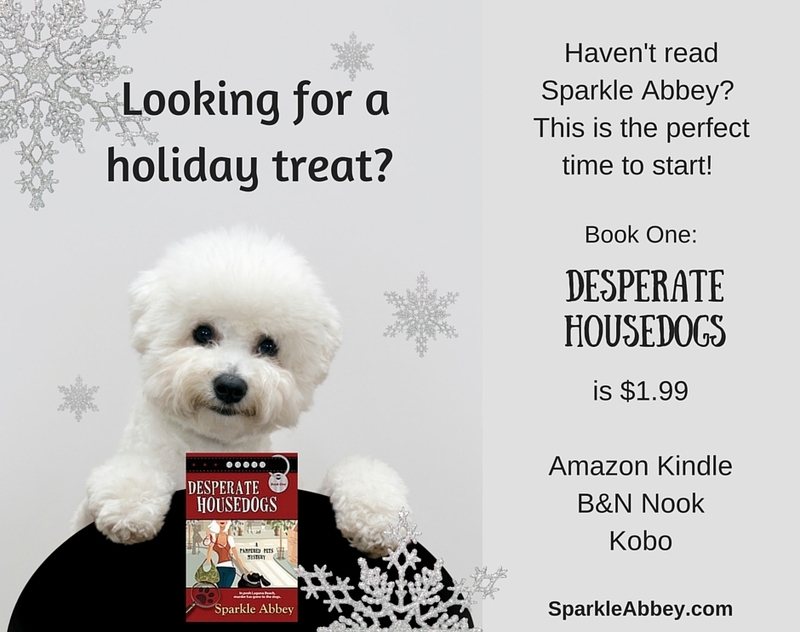 If you’re looking for a holiday treat for yourself or a stocking stuffer for the reader on your list, Desperate Housedogs, the first book in our Pampered Pets series is only $1.99 until December 31st. The special is on Amazon Kindle, Barnes & Noble Nook, and Kobo. Also for all of our UK readers, it appears that the special pricing applies to Amazon UK as well. Here in the Midwest, Fall has arrived in all it’s glorious color, Raiders of the Lost Bark (Book 8) has been turned in and we’ve been busy doing author appearances for the most recent book, Downton Tabby (Book 7). We also had a great time at one of our favorite pet stores, Treats on a Leash in Ames, Iowa. It’s such a fun store and, of course, there’s the added bonus that we get to play with the pets who come in. Next up, we’ll be at Beaverdale Books in Des Moines, Iowa for tea & scones and a book signing for Downton Tabby. It’s a #BuyLocal #ReadLocal event with a drawing for a basket full of treasures from local Beaverdale merchants. 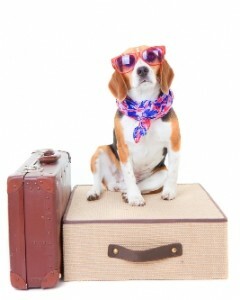 We hope to see you in person sometime soon! Or if we can’t see you in person, we hope to see you on Facebook or Twitter. Where in the world is Sparkle Abbey? July 11th – We’re making a stop at Central Perk & Dessert in Fort Dodge, Iowa for a fun afternoon with a group of Iowa authors. July 25th – We’ll be doing an “Anyone for Tea and Crumpets…and Murder?” afternoon tea and signing at Barnes & Noble, Jordan Creek Town Center, West Des Moines, Iowa from 1:00 – 4:00 PM. August 21-22 – Takes us to charming Suffolk, Virginia for the Suffolk Mystery Authors Festival. October 8-10 – We’ll be participating in the 2015 Bouchercon World Mystery Convention in Raleigh, NC. We’d sure love to see you in person at one of these events. If none of the stops we’ve listed is in your area, be sure to sign up for Get Updates as more appearances will be added throughout the year.